As a cab driver of many years, I can tell you that that intersection is a nightmare. 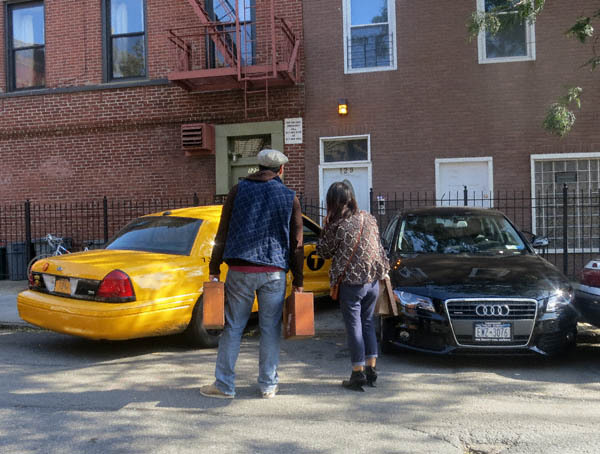 No visibility, thanks to cars parked right up to the crosswalk–cars speeding up Wythe towards that blind spot (no stop sign on Wythe since N14th)–it’s a toxic situation. 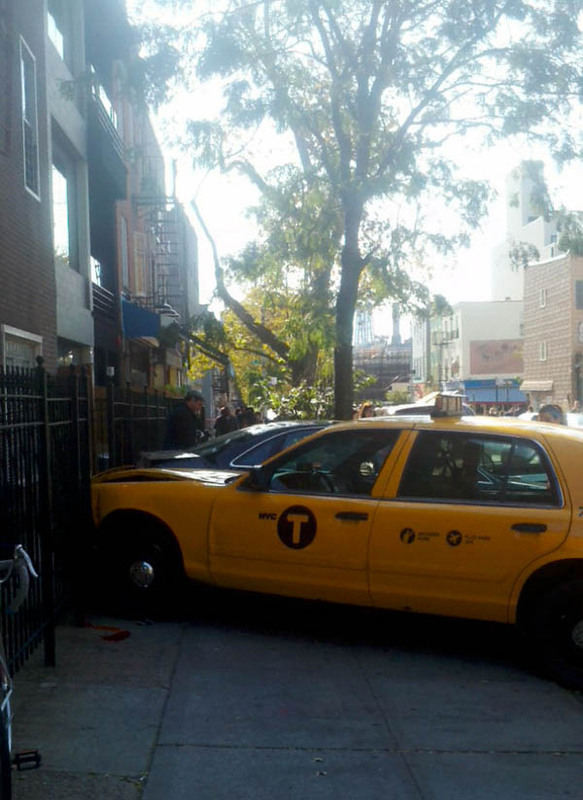 I’m not defending the cabbie’s actions–if he tried to bolt, that’s just wrong–but there’s a reason why they they put a stop light at Wythe and N6th, and they need to do that elsewhere on that street. Particularly after the idiot DOT made Kent a supremely narrow one-way road northward, 3 of 4 roads in from the river are heading (stupidly) towards the dead end of the borough. It’s still inexcusable, but I understand why people speed in the absence of lights or stop signs in that direction. I am really happy you chimed in, rexlic. The fact Kent Avenue was made one way (and Wythe Avenue has suffered as a result) did not go unnoticed. It did. 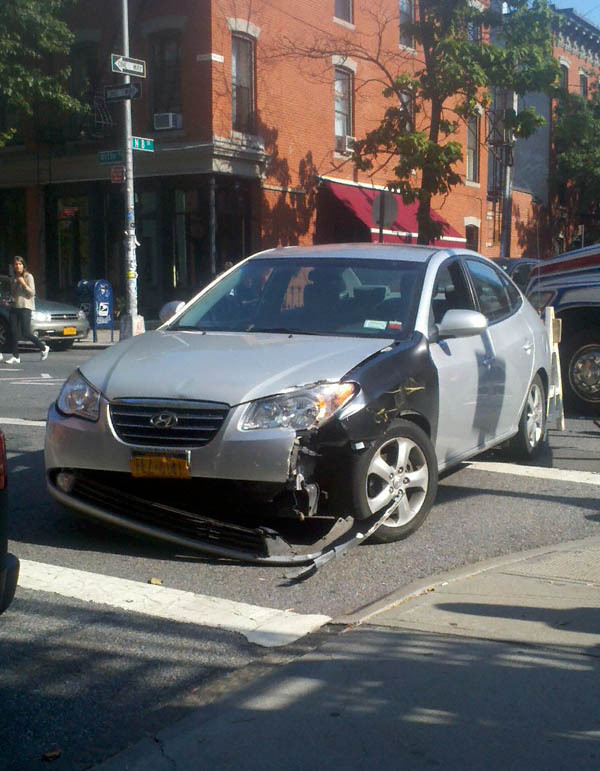 The fellow whose car was hit resides in Greenpoint. In order to go south had had to use Wythe.